IPL 2019 KKR vs RR live streaming will be provided by the official partners. You can watch live cricket match today online on Star Sports, Hotstar, Jio, and AirTel. The upcoming Indian Premier League will be played from March 29, 2019, to May 19, 2019. It could be held in South Africa or United Arab Emirates (UAE) due to Indian General Elections. The below will be updated timely as it is subject to change. Today’s game will be played at Eden Gardens located in Kolkata, the capital city of West Bengal. It will start at 7 pm IST while the toss will take place at 6:30 pm IST. The 30-minute time gap is provided in every match to get the game going on the ground. If you have access to the television, then you can go for Star Sports 1/ HD and Star Sports Select 1 / HD for English commentary. And if you feel comfortable with Hindi, then your channels are Star Sports 1 Hindi / HD. Don’t worry if you don’t have the luxury to the TV. In the absence of the television, you can always go for the IPL online live free streaming option. It will be streamed live on Hotstar app, Hotstar.com, Jio TV app, and AirTel TV app. Star Sports is the official broadcaster of the tournament this year. In the first IPL 2018 play off match, Chennai Super Kings (CSK) defeated Sunrisers Hyderabad (SRH) by 2 wickets. It was the 57th of 60 games to be played in this edition. Today’s match is 58th. It is the match between number 3 and number 4 placed teams by the end of the IPL 2018 league stage. 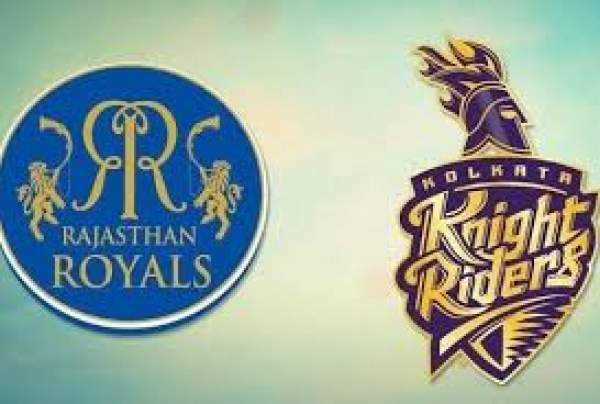 Former champion Rajasthan Royals will play against two time winners and favorites for this game, Kolkata Knight Riders in the IPL eliminator on Wednesday. In this seasons, both the teams have already met two times and KKR turned out to be victorious in both the encounters. Knight Riders is already on a three-game win streak, and it got itself the last four berth for a sixth time. Also, Kolkata team has got the home advantage out of the four teams in the Eliminator this season. The side has posted the highest total this year and won against the table toppers SRH in its last game. So, it would be silly to consider the Dinesh Karthik-led KKR a weak team. If it happens to win today, then the Qualifier 2 will take at the same ground on May 25.